Josh Williams was recently nominated to be a Featured Expert by one of his coworkers at Physical Therapy Central for his excellence as an outpatient orthopedic therapist and Move2Perform provider. For the last eight years, Josh has worked in Newcastle, OK at one of the 12 therapist-owned Physical Therapy Central clinics in Oklahoma. Josh treats a variety of post-operative and orthopedic patients of all ages and uses Move2Perform frequently in his practice. With four school districts within a 20-mile radius of the Newcastle clinic, Josh sees a large variety of Junior High and High School athletes across many sports. 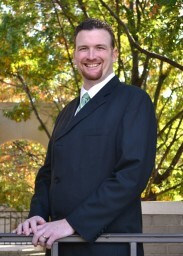 Josh graduated from the University of Oklahoma in 2002 with a Master’s of Physical Therapy degree. He obtained the CSCS certification in 2010. He obtained a DPT degree from Evidence in Motion Institute of Health Professions in 2012 and completed a Sports Physical Therapy Residency program through EIM in 2013. Josh became ABPTS certified in sports and orthopedics in 2013 as well. He is also a Credentialed Clinical Instructor through the APTA and holds a certification in emergency response from the American Red Cross and the Sports Section of the APTA.